Ready for the adventure of a lifetime? Colorado Surf Factory is ready to make your trip down the Arkansas River fun, safe, memorable and exciting. Brown's Canyon in Buena Vista, Colorado offers some of the best whitewater rafting in the USA and we have different options for all ages. You can choose to do a family float, a class III adventure filled with big rapids and beautiful scenery, or an extreme, non-stop class IV trip through The Numbers. No matter your choice, you will make memories that will last a lifetime! Brown's Canyon offers the most popular stretch of Class III whitewater in the country. Besides the thrill of the rapids, you'll experience some of the most beautiful scenery in Colorado. This trip is fun for the whole family! You can choose to do a 1/2 day (10 miles of rafting), a full day (20 miles of rafting), or an overnight trip (28 miles of rafting) on this stretch of the river. This trip is for ages 8 and over and is definitely our most popular. These two or three day rafting trips offer the most continuous whitewater available in Colorado. Combining the Narrows, Brown's Canyon and the sections in-between, you'll enjoy camping and rafting in the beautiful Arkansas Valley. We'll provide all necessary rafting and camping equipment and you'll enjoy tasty and nutritious meals prepared by your CSF guides. This will be an outdoor experience you will always remember. If you want something a little more extreme, take a trip down the Numbers. The Numbers is a full day trip that is packed with non-stop class III and IV rapids. This is a trip for thrill seekers, but not for novices. It requires strength and stamina as you'll navigate your way through continuous rapids in the upper section. After the Numbers you'll go through the Narrows, which is a fun and scenic ride. You'll end the trip at the Buena Vista River Park where you'll have a delicious lunch prepared by our guides. Full-Day Trip (Class II-III): Float the Arkansas River through Salida, encountering easy to moderate rapids while taking in the historical and natural beauty of the surroundings. Great for ages 5 and up at most water levels. Call to book. Half-Day Trip (Class I-II): Take a trip on the "milk run!" You'll float from Johnson Village to Fisherman's Bridge in Nathrop and will experience amazing views and relaxing water. The trip starts with some fun waves and ends with breathtaking views! The milk run is a great choice for people who want a shorter, more mellow float. Perfect for families! Who says the adventure and the fun have to stay on the river? Come for a rafting trip and relax at Mt. Princeton Hot Springs or take a trail ride through the Rockies on horseback. Whether you want a guided tour or just want to rent solo, fun on the river doesn't have to be limited to a raft. We are glad to offer stand-up paddle boards for you to enjoy the mountain air and water with a guide, with your friends, or on your own. Call for pricing. Hourly, daily, and overnight options. We are glad to offer military, group, Boy and Girl Scout, church, and non-profit discounts! Just ask us about these sweet rafting deals when you call! Each of our guides has at least 5 years of experience! Our Guides have years of experience, a passion for the river, and more importantly, a passion for people. Our company was founded on the goal of bringing people together and giving people an experience they will never forget. It starts with the way you are greeted, informed and equipped for the water. It continues with your guide interaction on and off of the river and it ends with a fun memory that will last a lifetime. Our guides are guaranteed to give you an engaging and memorable experience on the river. They are the best in the business! the perfect combination of fun, comfort, and convenience! We are fortunate enough to occupy the old Stohlquist kayak factory in Nathrop, CO. A historic whitewater landmark, our building is spacious and well-appointed. The space is well thought out, family-friendly and comfortable. We feature changing rooms for both women and men, a retail and snack store, a game room for kids (plus yard games outside!) and plenty of parking. 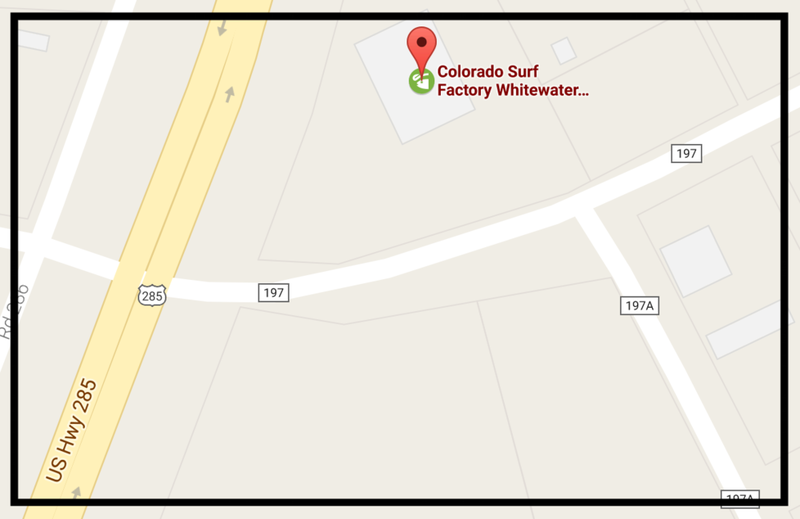 Our place is right off of the highway and rivals any other location on the Arkansas river. Plus, we offer shuttle services! what should you bring rafting? here are our suggestions. We provide splash clothing and wetsuits to keep you warm, a dry bag for small items to be carried onto the raft, and a full lunch and drinks on full day trips. Sunscreen--the sun on the river can be intense! Clothes that dry quickly. Nylon or poly fabrics are best. Shoes that can get wet and that will stay on your feet (no flip flops). Wool, poly, or polar fleece clothing on cooler days. A t-shirt and shorts are appropriate for warmer days. A change of clothes for the ride home. Waterproof cameras and sunglasses with a strap (optional). Please do not bring valuables such as jewelry on your rafting trip. whether you're the hotel type or the camping type, you have options for lodging for your rafting trip!